Many athletes use a GPS watch to track their distance, time, and average pace when running, swimming, or biking. There are few watches, however, that seamless transition from one activity to the next in order to give you an overall picture of your workout. The Garmin Forerunner 310XT does just that. This watch burst onto the market in 2013 and was created specifically with triathletes in mind. It keeps accurate run, swim, and bike statistics while wirelessly downloading them to your computer for up to date record keeping. Some of the features of this watch include a large display screen, optional heart rate monitor, and stylish colors. Currently priced ranged between $150 – $200, the Garmin Forerunner 310XT is an affordable watch with many versatile capabilities. There are several specific advantages to purchasing this watch over its competition. Waterproof: Because this watch is designed for those individuals interested in triathlons, it is waterproof for a distance up to 50 meters deep. This is advantageous because you will want to know the time it takes you to swim a particular distance while you are in training. Other GPS watches could be ruined when immersed in water, but the Garmin Forerunner 310XT takes on that challenge with ease. Battery Life: Possibly the worst feeling ever is having a GPS watch die in the middle of a workout. All of your valuable stored information is lost and you are left wondering how quickly you finished the last part of your training. Luckily this Garmin watch boasts an incredible 20 hours of battery life. You can be confident that if it has a full battery it won’t die in the middle of your workout. Versatility: This is one of the only GPS watches to be able to transition between swimming, biking, and running with ease. Purchase the optional quick release bike mount to turn your GPS watch into an easy and safe way to track your cycling miles. This watch also combines multi-activity workouts into one log and keeps track of transition time to help improve your overall performance. Warranty: The final advantage to the Garmin Forerunner 310XT is the fact that it comes with a one year manufacturer’s warranty. Though it is a nearly indestructible device, it is possible for some part of it to break through heavy use. It is comforting to know that if something goes wrong within the first year Garmin will take care of the issue hassle free. Though there are many advantages to purchasing the Garmin Forerunner 310XT, there are a couple of drawbacks that are worth mentioning. 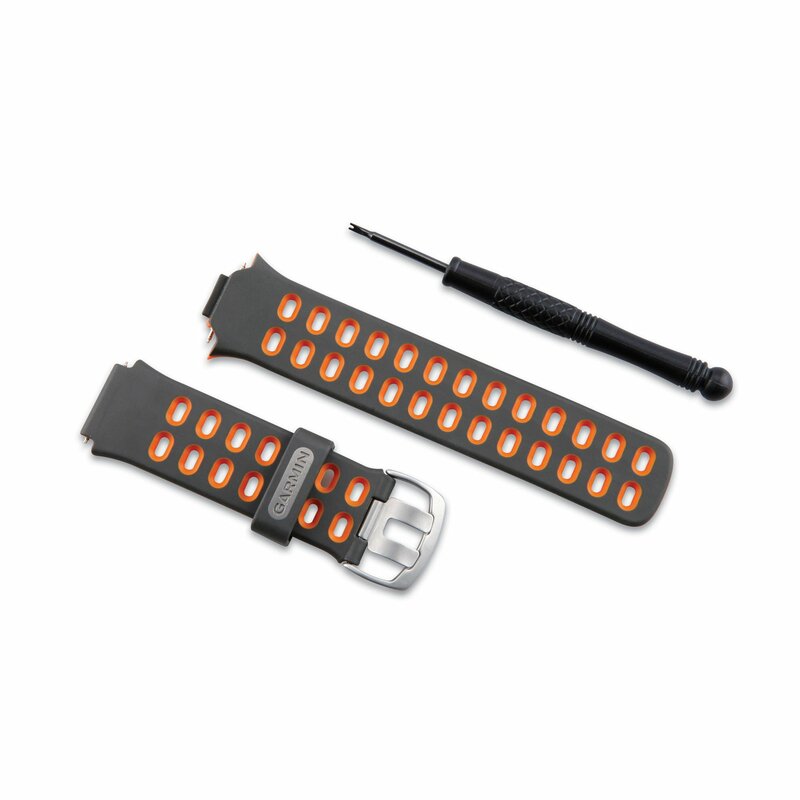 Heart Rate Monitor: The heart rate monitor for this product is an optional purchase that can be added on if desired. There have been some reviews that state it might not work as well with heavier clothing. If you are going to purchase the heart rate monitor that accompanies this product, be sure to use it with light clothing that causes minimal static electricity. Bulky Design: Due to the fact that this watch has a large display screen for easy visibility, its design is not as streamlined as its competition. Though it should be comfortable for the average athlete, a petite person may find the watch to be too bulky or uncomfortable for everyday use. Overall, the Garmin Forerunner 310XT is an all-inclusive GPS watch that is an affordable way to track your workout progress in the areas of swimming, biking, or running. Competitors including Timex and Nike may offer a lower price point, but you will be sacrificing battery life, durability, and the versatile options of the Garmin. The Garmin Forerunner 301XT is truly the watch for you if you are looking to improve your triathlon time and want accurate statistics to record your journey. If your looking for a fitness tracker that’s a little cheaper and more stylish but not quite as robust, consider the Garmin Vivofit which has a slimmer profile and some neat color options.